Any special blogging skills – Keyword Research, SEO, etc. You should receive a follow up email from us shortly to discuss payment arrangements. After agreeing on payment terms, your login credentials will be email to your registered email id. For security reasons, there are two levels of login. Each author will receive two sets of usernames and passwords. 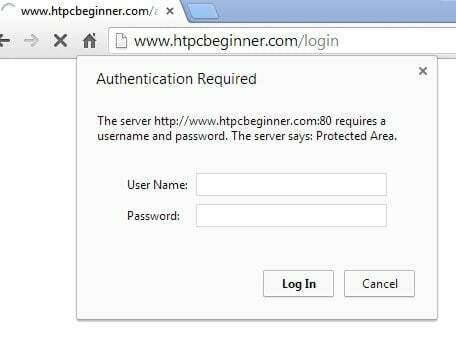 When you visit htpcBeginner Author Login page, you will be presented with a popup login (aka HTTP Authentication). The popup window will look different on different browsers. Use the provided HTTP authentication credentials to login. After successful HTTP authentication, you will be presented with the WordPress login form. Here too, use the provided WordPress login credentials to reach the author dashboard. Once you are there, you are good to go. Don't forget to create your Author Profile and review our Authorship Guidelines before submitting an article for publication.